I was introduced to GoldMine back in 1996 having looked over previously at creating a MS Access database whilst a Marketing Manager at a manufacturing company. Having completed a 3 day course understanding MS Access database, I remember vividly being told that to do a mail merge required a further 2 day course, this was 1994/95. I then went to one of the first CRM shows, to discover more about sales force automation and contact management or CRM as it is now known. 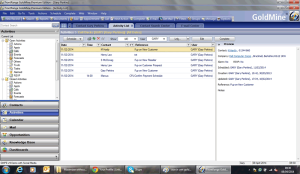 A year later, employed by AVG, the UK’s distributor for GoldMine, I started to use my first Contact Manager on a daily basis. The first version was GoldMine for Windows2.5a with the famous “chicken hatching from an egg” as the new record button icon! Then moved onto GoldMine 3.2 a popular edition for many. So, where had it come from? 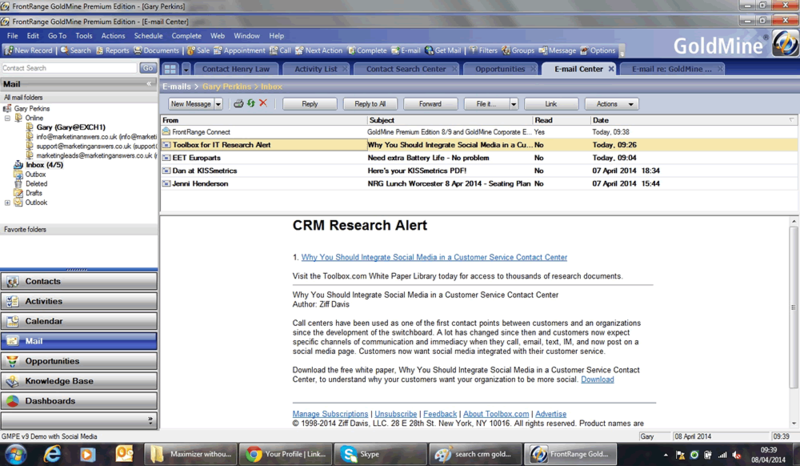 Contact Management software, the precursor to CRM had really started in 1987 with the launch of ACT! 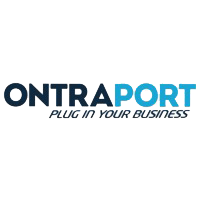 mainly aimed at sales reps in the USA giving them their own database. 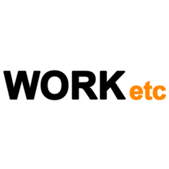 GoldMine followed in 1989 with a slightly different emphasis on workgroups or teams, ACT! was a reps better rolodex, but GoldMine was what we would now call a networkable product meant for the sharing of information across a team of reps and as such early on had a synchronisation module. This sharing was as I recall, one of the key differences in the early days in terms of some of the capabilities such as speed on large record numbers, indeed we had over 50000 records in GoldMine when I joined AVG with over 20 users. 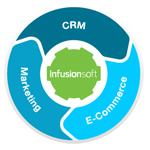 How it compares now in Small Business CRM Market? GoldMine competed and continues to compete in the contact management, and I would say, entry point full CRM with a comprehensive set of functionality including cases. 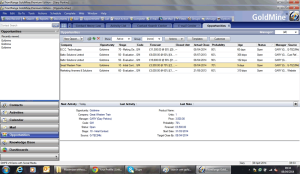 When people talk about new functions such as Dashboards a topical addition to CRM recently, GoldMine had its own Graphical Analysis or dashboard function as far back as GoldMine 4.0, launched in 1998 as I left to set up as a CRM consultant, using GoldMine of course! GoldMine in my view compares favourably with a whole load of similar packages such as ACT, Maxmiser and others that have not been fully web orientated. 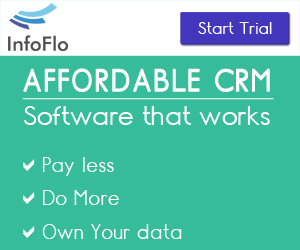 It continues to be fast and easy to use with strong functionality and flexibility within its own limitation as all CRM systems. To gain the most out of it, they key, I have found over the years, is simply training. Nearly every CRM system I see, first glance can look daunting and needs some customisation, even if this is just making it look less busy. to be easy to use and train. 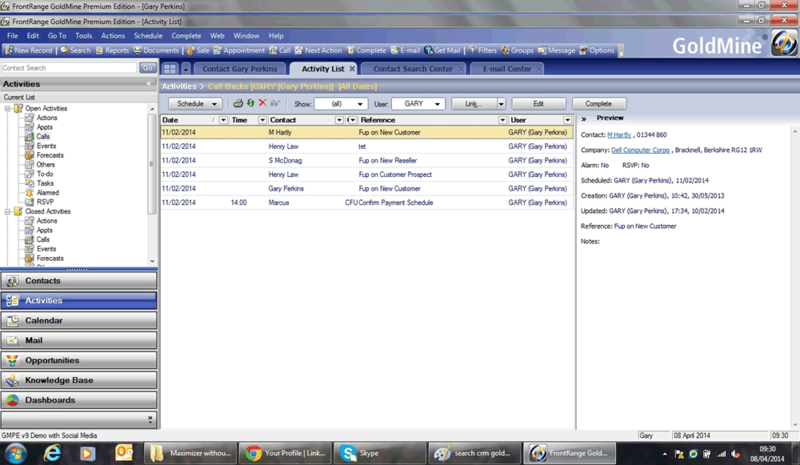 Email merge functionality is also easier for main contacts. For me, the Goldmine Premium Edition, which had a more modified look and feel is the best to use and from the outset, my belief is that if this edition had been available a few years earlier then GoldMine would have done very well indeed. They seemed to have lost some impetus in 2006-2009 until this new version came out, giving the ability to show and search in both Pending and History tabs very easily for additional contacts details. This edition means GoldMine is a full lower end CRM system effectively giving the look and feel of a full blown CRM package and with an easy to output to excel capability which helps in creating excel reports, which leads me onto…. Well strangely , the standard reports suite do not seem to have been touched a great deal in last 10 years, or at least I’ve not noticed anything improved apart from some additional reports. Although the argument may be that the Dashboard functionality gives more information, but this this is fine for overview, but a company profile to print off for a visit is still invaluable. That said the ability to export and ability to export as SQL statement helps to overcome some of the issues we used to have with additional contacts, reducing this issue. As I say, the database schema does inhibit some functionality, but I would like to say easier customization and more flexible customization of the Opportunities and Case entities, together with a better more user friendly Report Writer or easy to use Report wizard. My view also is that the web client, iGoldmine should now be included and not treated as a separate module. Combining this with GoldMine’s concurrent licensing model would make the product a lot more competitive in the current market. GoldMine’s database is either MS SQL Express or full MS SQL and has been used for many years, which is industry standard. A possible ability to create some themes customization may give the overall look and feel some attraction for certain companies. Consideration for other emails clients such as Google is starting to appear in other contact manager software and cloud based software and this is now on GoldMine’s roadmap. In my view, the development of Social CRM and evolvement of CRM systems and the need for better social media integration for many CRM systems does mean that the initial in my view first-pass solution is somewhat lacking as is the case with other contact packages. Again, this is an area needing additional development. 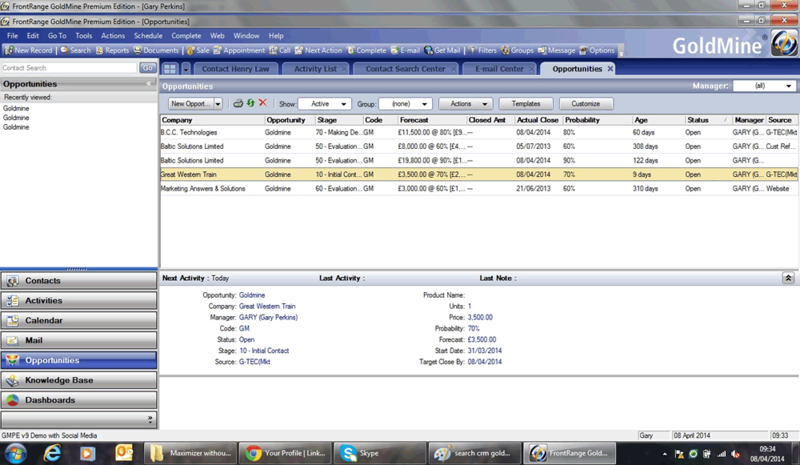 Web client would be great and other contact manager pedigree products are moving this way as well, making it easier also for hosted solutions to be maintained in effectively a private client hosted by partners, this offers advantages for clients and also ensures that on the road Sales Reps and customer service teams, increasing looking using iPads will retain their current GoldMine systems. Where does it fit really well? 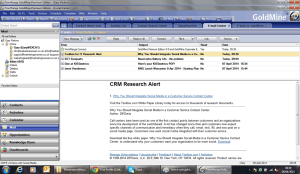 GoldMine is one of the few CRM’s which still has its own email client built-in, but will also work with MS Outlook, giving client a choice of email system and saving some client money when using GoldMine own email system which is quite robust and effective. With its concurrent licence model, this means that GoldMine can be very cost effective where there are more users than need full time licences and users that are inactive can be logged off meaning that it is easy to control User numbers and licence tend to be the biggest factor in CRM system, be it on premise or SaaS (Software as a service). Because it sits on server, once installed then after first years, maintenance fees are not mandatory. It also still has capability to synchronise for off-line access , which is becoming rarer now as vendors prefer to encourage external access via web pages,but what happens if you don’t have this? Goldsync, the synchronization tool offers this capability and when set up correctly is very robust. I use it daily. My thoughts on the future of GoldMine? The cloud versus on-premise (own server) or the hybrid model where software is hosted with a trusted partner, using web clients means that Goldmine needs to focus in my view on their web client access functionality to maintain its presence and give more flexibility to users over their choice of deployment. Cloud whilst important, is still estimated to only account for around 50% of the market and this does fit between very small micro companies and often larger company’s. In the mid-market the choice of deployment can be more complex.